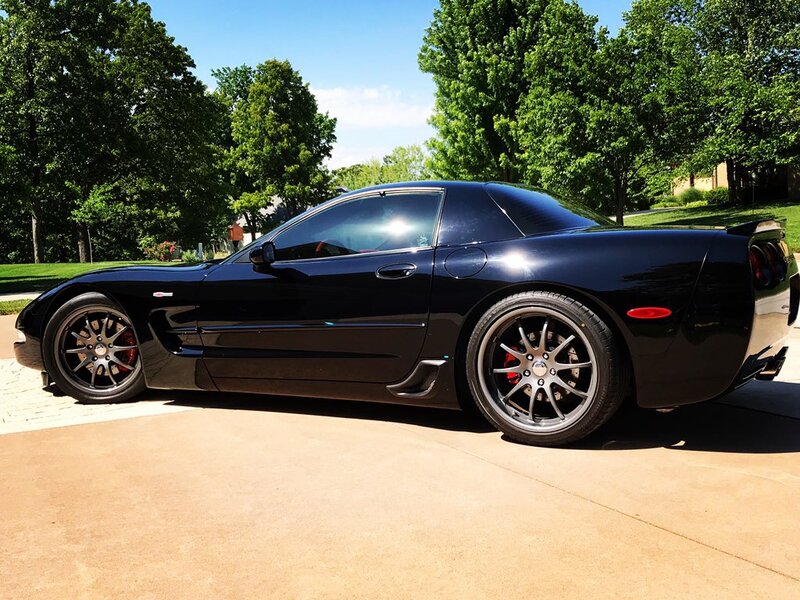 Dale Harrington is the proud owner of this fantastic 2003 Corvette Z06. Dale is a finance executive for a utility company in Joplin, MO. He purchased the car about three years ago on his birthday. Dale and his wife nicknamed the car “Lowla”. 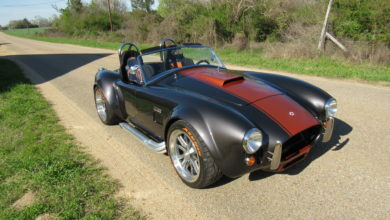 The couple enjoys taking Lowla to car shows and cruising it around town. 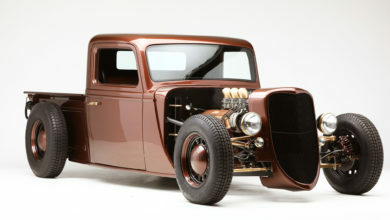 The car is powered by the 5.7L LS6 engine. 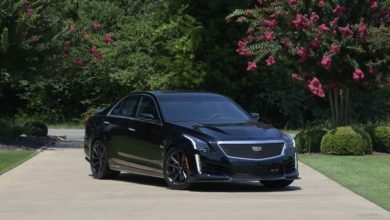 In stock form, it produced 405 horsepower with 400 feet pounds of torque. 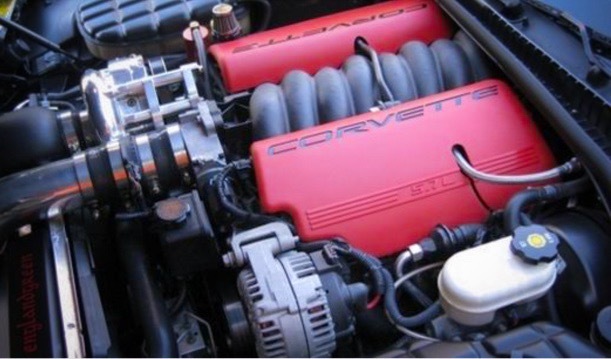 Dale upgraded the engine with a Vortec V2 supercharger and American Racing long tube headers. On the dyno, the car put down 575 rear wheel horsepower with the supercharger producing 5-10 pounds of boost on a moderate break-in tune. 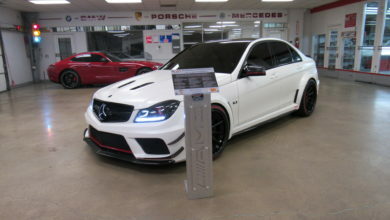 Recently, Dale put a more aggressive tune on the car and it’s expected to make well over 600 rear wheel horsepower. There are rumors of a possible camshaft swap in the future. 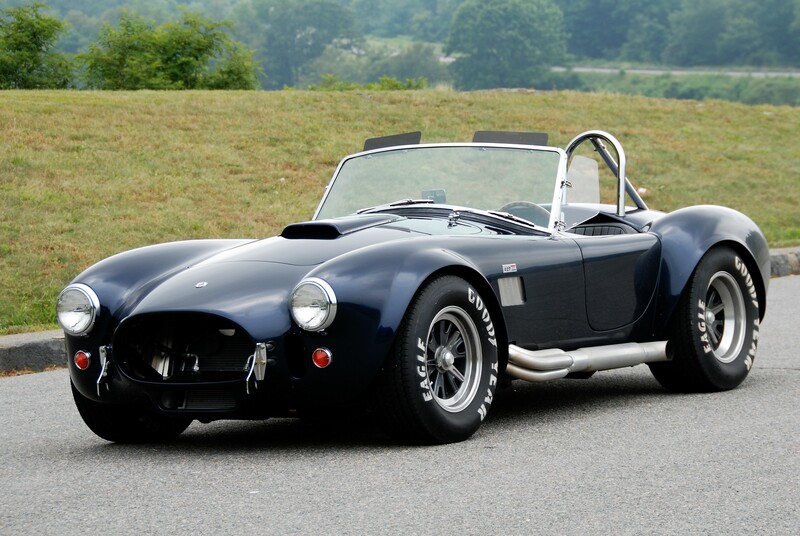 The engine is backed by a T-56 six-speed manual transmission. A heavy-duty Textralia clutch replaced the stock one. We were told that first gear was pretty much useless and the real fun didn’t start until you shifted into 3rd. The car has been lowered with iForge wheels. There are 18″ rims on the front and 19″ on the rear. 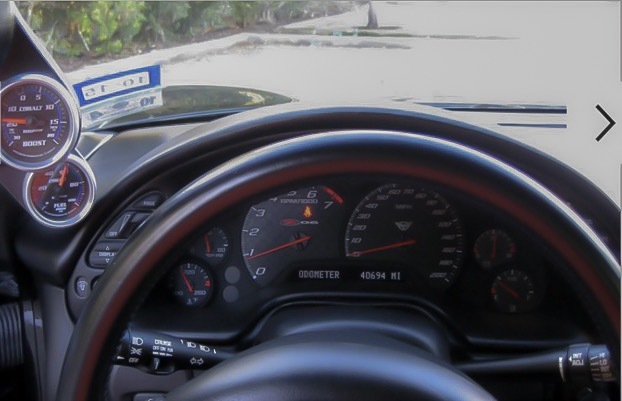 Random Fact: The C5 Corvette Z06 was produced from 2001-2004. The interior is basically stock besides the pod gauges and some custom red leather trim pieces. 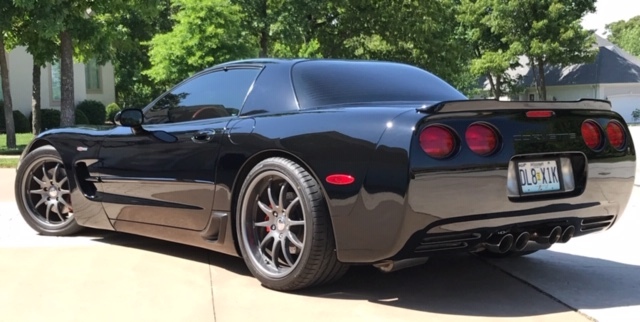 A ZR1 rear spoiler was added and it really compliments the body style and stance. Random Fact: The C5 Corvette Z06 only came in a hardtop because it had a special frame that utilized rigidly for road racing. 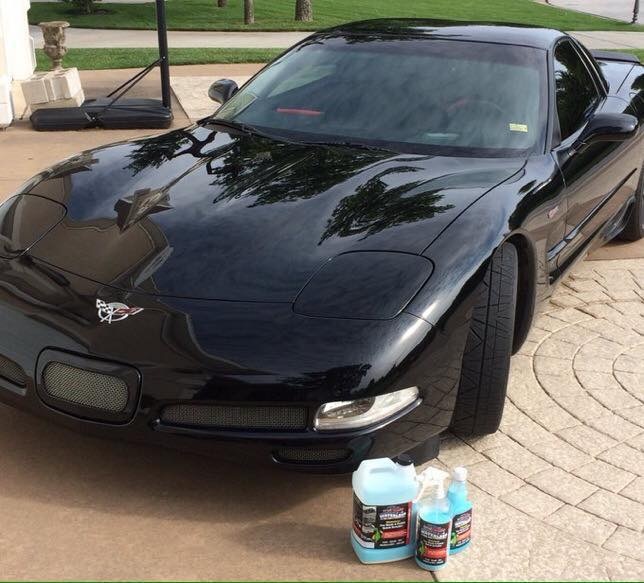 Dale Harrington is a distributor for DualPolymer Waterless Products. Go to dualpolymer.com and when you enter the store it will ask you how you were led to the site, type LAPADA. When you go to check out type in “lapada” for the discount code for 20% off the purchase.